The Seat Ibiza 1.6TDi CR is a great new common rail diesel car. It looks great, drives smooth and priced reasonably well so it sounds like an all-rounder – but it has it’s problems, some can be a little annoying and others can be very expensive. 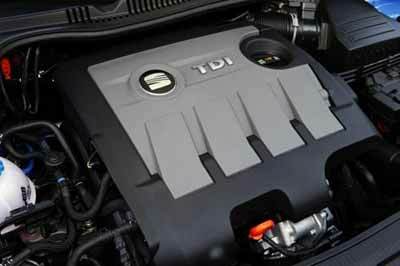 It’s very smooth to drive but for a common rail turbo-diesel, feels very underpowered and you’ll notice a lot of wind noise on motor journeys – but the most critical and expensive problem is the major DPF issues with this car and others of the fairly new 1.6TDi CR VAG range. 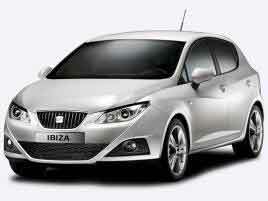 The Seat Ibiza 1.6TDi CR (6J) Engine comes in both a 90hp and a 105hp. Both models suffer from the problematic DPF issues and a lot of this is down to failed regenerations for one reason or another. There are many reasons why a DPF Regeneration might fail and one of the more important reasons is the fact that the vehicle just isn’t suited for the majority of people who drive them. To learn more about the DPF (Diesel Particulate Filter) system, how the DPF Filter works and common DPF Problems then check out our DPF Problems & Removal Article. My Seat Ibiza 1.6TDi CR is not suited to my “Driving Style”? If you own a Seat Ibiza 1.6TDi CR and live in a busy city like London for example, then your driving style will be a lot of stop-start and this type of driving will definitely cause premature DPF blockage. To maintain a DPF-fitted diesel vehicle, you need to be doing a majority of motorway driving as a pose to urban driving, this will maintain a higher exhaust gas temperature for prolonged periods which will aid a successful regeneration. If you’re using the vehicle for more city/town driving then your driving style will be a lot more stop & start which isn’t suited for a DPF-fitted vehicle because the exhaust gasses won’t reach optimum temperatures and hold at that temperature long enough to aid a successful regeneration and to maintain the vehicle you will then be required to go on extra motor journeys each week for a minimum of 20 miles at a time in lower gears and higher revs to burn off the soot that your DPF has captured in the week. There is no guarantee that this method of driving style will work, but is the best chance of maintaining the filter for as long as possible before requiring a replacement – and you will eventually require a replacement filter because they don’t last forever. This type of unnecessary motorway miles are counter-productive if you purchased one of these vehicles thinking it would be economical. If you’ve had too many failed regenerations on your Seat Ibiza 1.6TDi CR, or it’s just reached the service life for the filter to be replaced then you will begin noticing problems and symptoms of the filter being blocked. In some cases it’s quite common that you won’t notice any warnings and the problems can come all at once. You’re meant to get a warning when the DPF is getting blocked to advise you to go on a regeneration and then eventually after several failed attempts to regenerate you will lose all power as the vehicle goes into safety mode (Limp Mode) but we’ve seen cases where there was no warning before Limp Mode. Below is a list of some of the common symptoms of a Blocked DPF Filter. Fault Codes: P242F, P0471 & 08194 etc. Some of the above may not be associated to your DPF problem and there are even more extreme cases where the vehicle may be hard to start or not start at all. When the DPF is blocked we don’t recommend to continue driving like this for weeks thinking about how to sort the issue. You have a few options but if you wait too long and continue driving on a blocked DPF then you’ll soon find yourself in a situation where the DPF can get so badly blocked that it will cause further damage to other mechanical components. We would recommend that if you do need to drive the vehicle i.e. to and from a garage then you should drive it in the lower gears and higher rev range. Some of the above can be very expensive, just replacing the DPF Filter alone can cost you £1000+ easily so it’s best to tackle the problem head on straight away before things spiral out of control. We’ve seen cars so badly damaged that we refuse to work on them because it would cost £2000+ to put them right and with some cars it’s just not worth it. 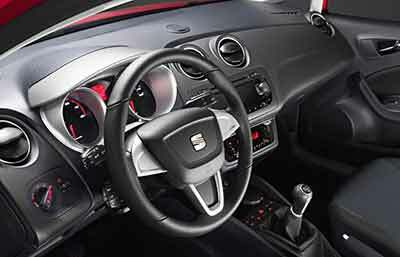 My Seat Ibiza 1.6TDi CR Has A Blocked DPF – What Are My Options? You can either replace the filter or have the DPF completely removed and programmed out of the vehicles on-board computer (ECU). There is also a third option of cleaning the filter but this carries no guarantees as the problem may come back at any time, however, cleaning the filter can work out to be less expensive in the short run as a single cleaning session can be carried out for as little as £150.00 on some vehicles. We offer all three options to our customers but we always advise that removing the DPF is the ultimate and most affordable solution. See below for the pro’s and cons of all three options and decide which will best suit your needs. DPF Replacement Filters – We can replace your blocked DPF filter with a brand new genuine part, direct from Seat. This part will be warranted by it’s manufacturer and will be a genuine OEM filter. We don’t use copy/pattern parts because although they come with warranties, we know what they’re made of and we can absolutely guarantee that after fitting a copy filter the problems will come back sooner rather than later – because they simply don’t have enough precious metals inside to carry out a successful regeneration. A genuine filter, although problematic.. if maintained well, will last 70,000 – 120,000 miles. The cost of the filter however can be very expensive, in some cases as much as £1000+ (+VAT + Labour). DPF Chemical Cleaning Session – We have signed up with the leading aftermarket DPF cleaning company in the world to offer a very intense DPF chemical cleaning session. Some people will suggest removing the filter and jet-washing it through, others will say use an additive in your tank and take it on a long drive and your local dealer may even try a forced regeneration. Our chemical cleaning session has proved to be quite revolutionary and we’ve succeeded to clean DPF filters that other cleaning methods have failed on. We’re not saying this option is perfect because it’s not, it is a temporary solution to an on-going problem. There is no cleaning system in the world that can clean a DPF back to factory standard and give you another 70,000 miles. The most you can expect from a DPF Chemical Cleaning Session is to get your vehicle back with all faults cleared and to be problem free for up to a year. Sinspeed Complete DPF Removal Session – We offer a completely bespoke and custom DPF Removal service whereby we physically remove the filter from the exhaust system and de-activate the complete DPF system from the vehicles ECU. This is a 4-stage DPF Removal Session and the most in-depth removal offered nationwide. After getting your vehicle back you’ll experience a noticeable increase in performance and power from the happy engine because it is no longer being suffocated and able to breath better. This will result directly in more power and better fuel economy. You will no longer experience any DPF-Related problems, warning lights or loss of power and because we also carry out a free Smoke-Correction Service with EVERY DPF Removal service we offer, you are guaranteed that your vehicle will continue to pass an MOT even after the DPF is removed. All SINSPEED DPF Removals come with a Lifetime warranty and a gauranteed MOT pass. This is a permanent solution and will not cost you £1000’s – in fact, we can offer you a Complete Custom DPF Removal Session for your vehicle, for a fraction of the price of a new filter! Removing the DPF is not like changing a clutch and we’re not a local back-street garage either, we’re specialists in the field of DPF problems and after removing the DPF you will notice instantly how much better your vehicle performs. Having a large DPF filter in the exhaust restricts the air flow of the exhaust gasses and massively restricts the performance of the engine – it has to work harder to produce power, so by removing the filter you’ll find the engine will produce that same amount of power with less throttle. The end result is a happier, longer lasting more powerful engine and better fuel consumption. After having your DPF Removed by Sinspeed, you will no longer be required to drive your Seat Ibiza 1.6TDi CR in any specific way – you will be able to drive the vehicle how you want, it will be suited for both urban and rural driving styles so whether you wanted to drive across the country or even just to the shops, you won’t ever need to worry about it causing problems in the future – because the DPF will be completely removed and de-activated, as if it was never there in the first place. Sinspeed is a nationwide company and having done over 7000+ DPF Removals since 2007, we are by far the largest and most experienced company across the nation. There are many companies now, new ones opening every day claiming to be professionals and offering guaranteed MOT’s – but Sinspeed is the ONLY company nationwide to offer a free Smoke-Correction with every single DPF Removal Session we carry out to guarantee a true MOT Pass. This is something that is bespoke to Sinspeed, thanks to our in-house developed technology and there is no other company across the UK that can offer this service. A new DPF Filter (Diesel Particulate Filter) will range from £800 – £1500 (+Labour & VAT) and will come with a service life of 70,000 – 120,000 miles. We can remove the entire DPF system for a fraction of this cost and you’ll never have to worry about it ever again! For more information and a quotation, please call us on 0844 847 9999 today. Tags : Help With Seat Ibiza 1.6TDi CR DPF Problems, How To Remove Seat Ibiza 1.6TDi CR DPF, Ibiza CR DPF, Ibiza CR DPF Problems, Ibiza CR DPF Removals, Ibiza CR DPF Repairs, Ibiza CR DPF’s, P2002 DPF Failure - Best Solution From Sinspeed, P2002 Fault Code Solution ForIbiza CR By sinspeed, Removing Ibiza CR DPF, Removing Seat Ibiza 1.6TDi CR DPF, Replacement DPF For Seat Ibiza 1.6TDi CR, Seat Ibiza 1.6TDi CR De-DPF, Seat Ibiza 1.6TDi CR DPF Failure Help, Seat Ibiza 1.6TDi CR DPF Fix, Seat Ibiza 1.6TDi CR DPF Fixed, Seat Ibiza 1.6TDi CR DPF Help, Seat Ibiza 1.6TDi CR DPF Off, Seat Ibiza 1.6TDi CR DPF Problems, Seat Ibiza 1.6TDi CR DPF Regen, Seat Ibiza 1.6TDi CR DPF Regeneration, Seat Ibiza 1.6TDi CR DPF Removal Mot, Seat Ibiza 1.6TDi CR DPF Removal Procedure, Seat Ibiza 1.6TDi CR DPF Removal Remap, Seat Ibiza 1.6TDi CR DPF Removal Session, Seat Ibiza 1.6TDi CR DPF Removal Solution, Seat Ibiza 1.6TDi CR DPF Solution, Seat Ibiza 1.6TDi CR DPF Solutions, Seat Ibiza 1.6TDi CR Fault Code: 18434 - Particle Filter Bank 1 Malfunction - Fixed By Sinspeed, Seat Ibiza 1.6TDi CR P0471 Fault Code Fixed By Sinspeed, Seat Ibiza 1.6TDi CR P08194 Fault Code Fixed By Sinspeed, Seat Ibiza 1.6TDi CR P2002 Fault Code Fixed By Sinspeed, Seat Ibiza 1.6TDi CR P242F Fault Code Fixed By Sinspeed, Seat Ibiza 2008 DPF Problems, Seat Ibiza 2008 DPF Removals, Seat Ibiza 2009 DPF Problems, Seat Ibiza 2009 DPF Removals, Seat Ibiza 2010 DPF Problems, Seat Ibiza 2010 DPF Removals, Seat Ibiza 2011 DPF Problems, Seat Ibiza 2011 DPF Removals, Seat Ibiza 2012 DPF Problems, Seat Ibiza 2012 DPF Removals, Seat Ibiza 2013 DPF Problems, Seat Ibiza 2013 DPF Removals. I have a Seat 1.6 CR TDi 105hp with same problems as others on here. I live in Norfolk. Can you send me details of price for removal of DPF. Do you remove whole unit or internals as I think that the MOT requires a visual check to see if a DPF is still in place. I have sent over an email for further information regarding the DPF Removal for your Seat. Hi. I have 2010 tdi ibiza 1.6. I love it but its cost me majorly on regenning /replaced egr valve etc.. the dpf is the culprit im sure. What effect does removing the dpf filter have on road tax costs or insurance? Would this then come under modified car?.. im in Dundee area. Also can u email cost regarding dpf removal please? Thanks.. I have sent over an email with pricing & further information regarding the DPF Removal for your Seat Ibiza. I have a 1.6tdi seat ibiza and the exhaust light keeps coming on do you think this is down to the DPF filter and how much to remove thanks aaron. I have sent over an email for further information regarding the DPF Removal on your Seat Ibiza. Hi there, I have a seat ibeza 1.6 2011 with glow plugs light flashing, how long would it take for dpf removal and what price would.it be? We have sent you an email, please respond to the email with your postal code for a customised quotation. The DPF removal can be done within the day for you. Thanks for the enquiry and many apologies for the delay in our response. We have sent over an email now, please respond to the email with your postal code for a customised quotation. How much would the removal be as i habe my glow plug light flashing And my car is in limp mode? How much will it cost me to have this filter removes etc..?? I have sent you an email with full information and pricing for the DPF Removal on your Seat Ibiza 1.6TDi based on your location. Yes the DPF can certainly be the root cause of the problems your son is experiencing on his vehicle. It will need to be investigated by an experienced technician and ideally, I would recommend having the DPF removed and sent to us for flow-testing. We can then confirm how blocked it truly is and we now offer a very effective cleaning service.